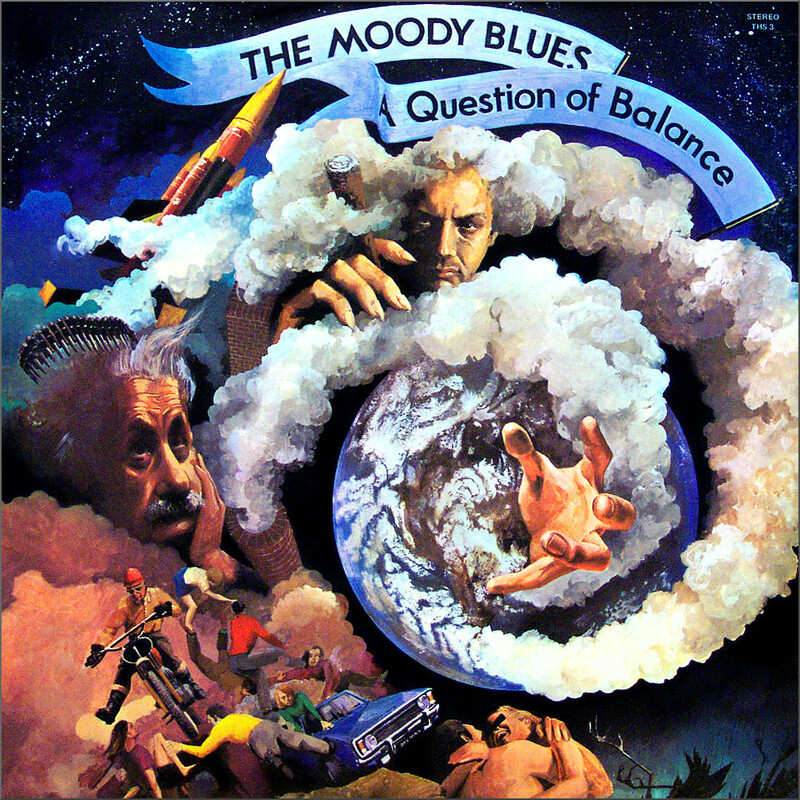 Moody Blues' flautist and vocalist Ray Thomas, whose credits include Legend of A Mind - 'Timothy Leary's dead/No, no, He's outside looking in' - has died aged 76. A Reading University gig by The Moody Blues in my student days ranks up there with my great music experiences, and there have been more mentions of the band here over the years than of any other rock group. They were a signpost on a musical path which five decades later still enriches and, most importantly, still reveals. Here as a tribute to Ray Thomas is a reprise of an Overgrown Path post. I've always thought that I was defined by records. Not just ones I've been involved in recording but every one I've ever loved, bought, fallen out of love with or that has soundtracked a particular chapter of my life. They are like punctuation marks. If I need to think back to an event in my life, it's easiest to do it with singles and albums. This theme of music as punctuation marks in our lives is taken up by Earle H. Waugh's study of the mystical chanters of Morocco's Sufi brotherhoods titled Memory, Music and Religion, in which he proposes that music functions as a grounding tool by subconsciously reclaiming the past. 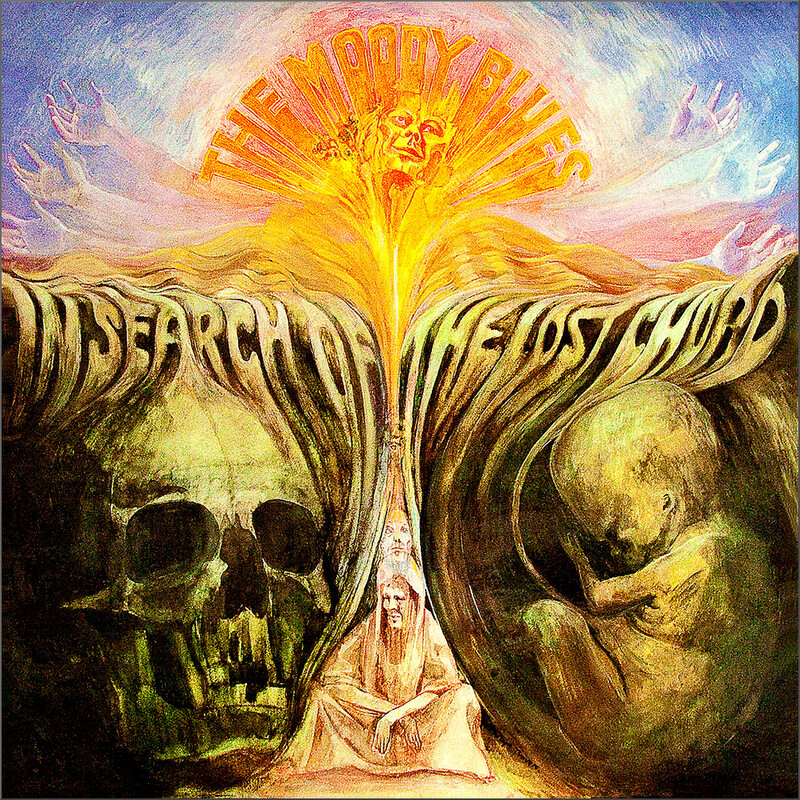 It is a view I subscribe to, and during the 1960s and '70s albums from the psychedelic rock band the Moody Blues punctuated my life, with their set at my university in 1969 providing a never-to-be-forgotten example of the power of live music. Much emphasis is now placed on attracting a new young classical music audience. But little importance is placed on understanding how the much-derided ageing core audience - of which I am proud to be a member - came to classical music. Music education for young people is vitally important. But also important yet overlooked, is that many - if not the majority - of the current core audience came via rock music and popular culture. 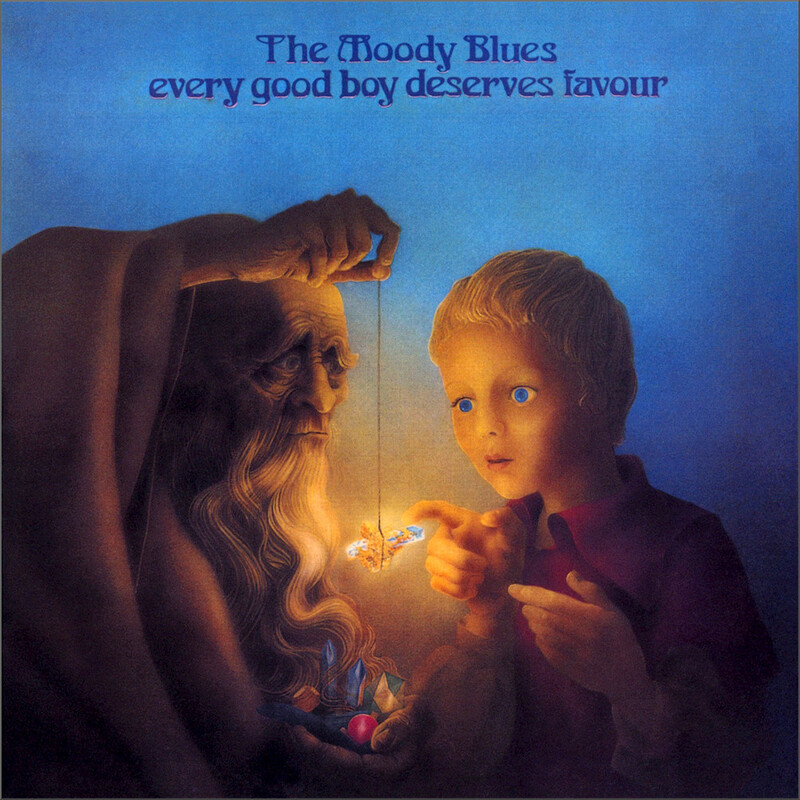 In 1971 two albums spent much time on my Pioneer PL-12D turntable: one was the soundtrack album for Visconti's newly-released Death in Venice movie which introduced many of us to Mahler through the Adagietto of the Fifth Symphony, the other was the new Moody Blues album Every Good Boy Deserves Favour. But today social media's bubble filters and the internet's infinite possibilities for personalisation have all but eliminated serendipitous cross-genre and cross-media grazing. Gone are the days when Visconti's Death in Venice, Ken Russell's Music Lovers, Martin Scorses's The Last Temptation of Christ and Emerson, Lake and Palmer's Pictures At An Exhibition could add a new diacritic to young lives. Instead the mantra of our digital age is 'more of the same please' driven by the insidious dynamic of social media approval. As can be seen from the accompanying artwork by Philip Travers, the Moody Blues' albums were a truly immersive experience, unlike today's stripped-of-everything-but-binary-data audio files. So much attention has been paid to decoding their albums' lyrics - including a book from a New Age publisher - that the band's bassist John Lodge composed I'm Just A Singer (In A Rock And Roll Band) for their 1972 Seventh Sojourn album to refute suggestions of hidden meanings. Among those obsessed with these chimerical hidden meanings was American arch-criminal and cult-leader Charles Manson who banned all music in his commune except the Beatles' White Album - notably the Helter Skelter track - and Moody Blues' albums. ...contemporary jihadism, at least in the West – as well as in the Maghreb and in Turkey – is a youth movement that is not only constructed independently of parental religion and culture, but is also rooted in wider youth culture. This aspect of modern-day jihadism is fundamental. On the track Legend of a Mind from their 1968 In Search of a Lost Chord album, the Moody Blues sing that "Timothy Leary's dead/No, no, no, no, He's outside looking in". In just the same way the root causes of those terror outrages of the 1960s and '70s are not dead, they are just outside looking in as history repeats itself.